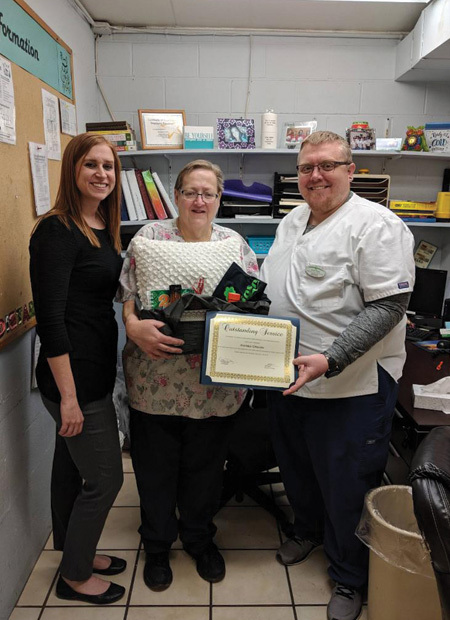 Congratulations Andrea Graham, our March Bravo Board Winner! Each month employees can get shout-outs on a public posted board by other employees, residents, and guests. At the end of the month, we pull one winner out of all the submissions and they are awarded a gift basket, a certificate acknowledging their recognition, and balloons.